…or at least, it seems like it. Generally at the Bay Area Sewists meetups, I’m the only guy present and the door prize (usually a women’s sewing pattern, or a book filled with women’s sewing projects) isn’t really something that I’m going to sew. Which is fine with me – I’m there to meet other sewists, look at what others have done, and exchange ideas. It’s one of the things that I accept for taking on a hobby that has a miniscule amount of male participation. This entry was posted in Books, Events, Patterns on July 18, 2016 by mportuesisf. I’ve been reading David Coffin’s brand new book, The Shirtmaking Workbook: Pattern, Design, and Construction Resources. 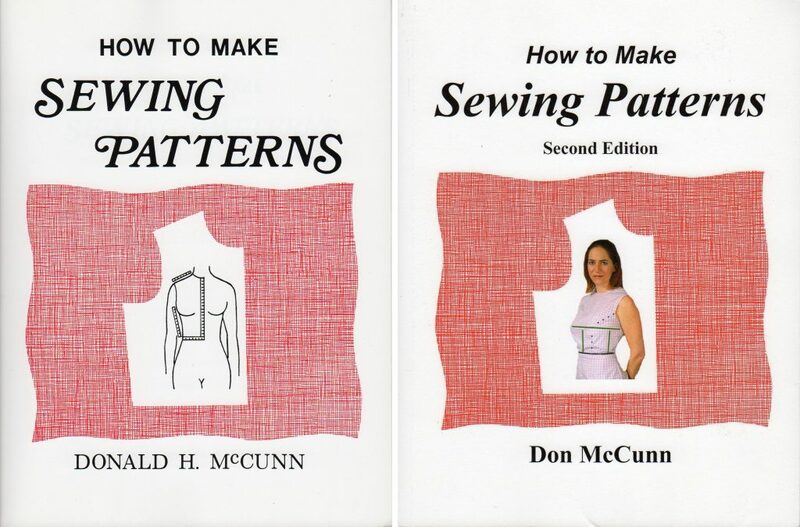 It’s a wonderful book, and it’s best described as the “yang” to the “yin” of his classic book, Shirtmaking: Developing Skills For Fine Sewing. 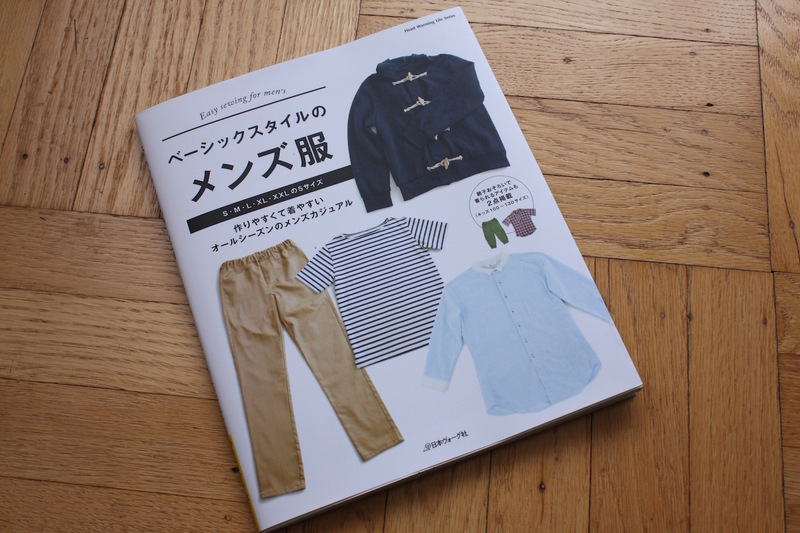 While Shirtmaking centered mostly on skills and technique in construction, this new book concentrates on design inspiration and pointers to helpful resources. I’ll probably post a detailed review here soon, but if you’re reading this blog you should just go out and buy it. It has a ton of content, and it’s more than worth the price. Coffin discusses digital pattern drafting in the early portion of the book, and describes his workflow using a large-format office printer/scanner to scan patterns and garments, edit the patterns in Adobe illustrator, and print on large format paper (13×19 inches). 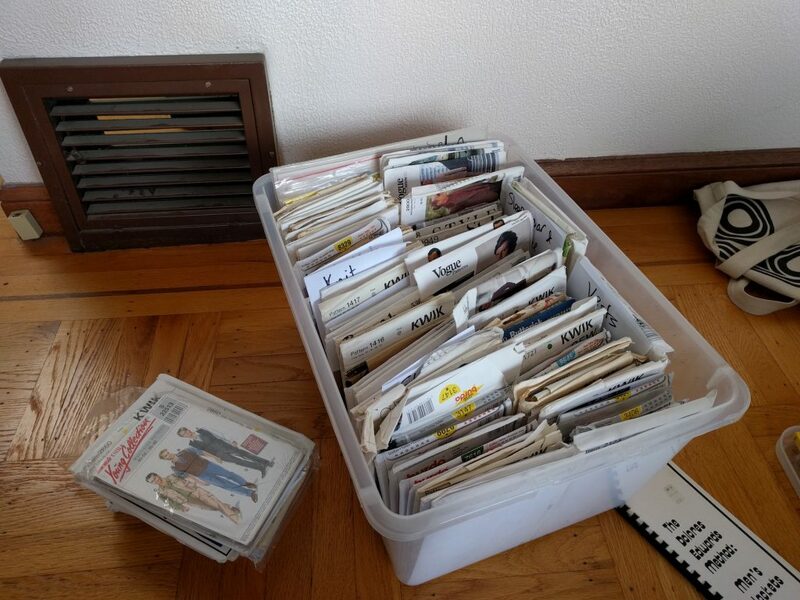 With a machine that can gulp in scans that large (11×17 inches), you can scan large pattern pieces and even whole garments into the computer fairly easily. And printing out patterns is a lot easier because there’s a lot less cutting and taping involved. I’ve shied away from print-at-home patterns for the most part, as well as using a computer to do my own pattern work. I don’t like cutting and taping letter-sized sheets a whole lot. And I simply don’t have the space for a large-format plotter, like many digital pattern junkies have. 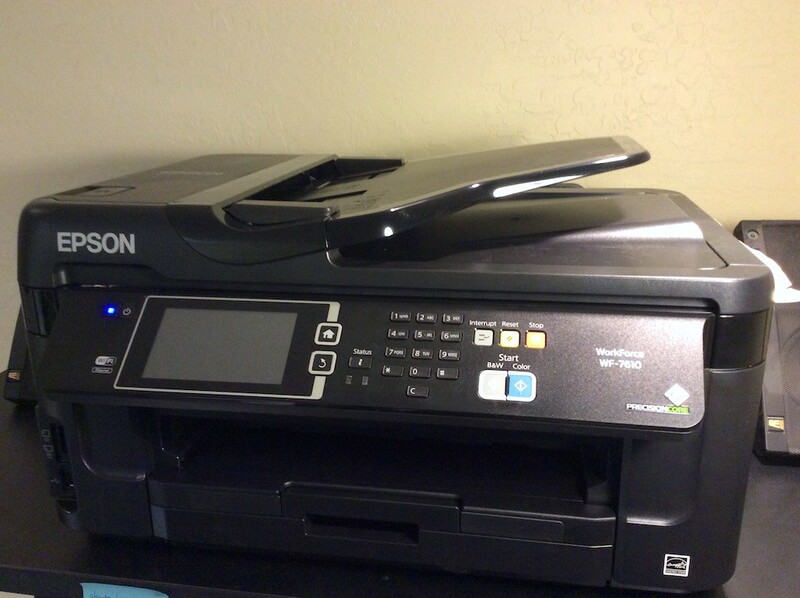 Following his recommendation in the book, I recently purchased an Epson Workforce WF-7610 printer. This entry was posted in Books, Pattern Drafting on July 5, 2015 by mportuesisf. Japanese Pattern Book Winner, and New Patterns! 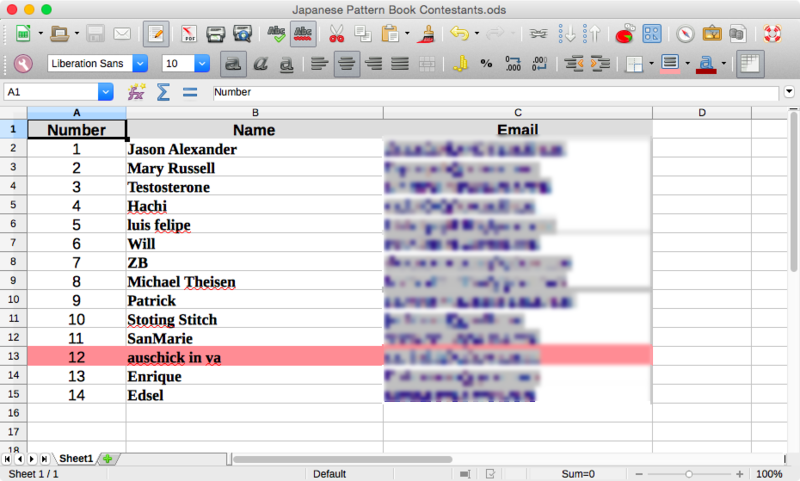 Thank you to everyone who entered the Japanese Pattern Book contest. I really appreciated hearing what you think of the blog, as well as the suggestions for projects for me to work on. One surprise was the votes of support for non-garment projects such as the recent Duffel Bag project. It was gratifying to hear there’s a segment of my readership that really likes those types of projects, and I definitely have more planned for the future. There were a total of 14 entrants to the contest. 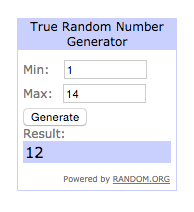 The Internet Random Number Generator picked the winner. This entry was posted in Books, Events, Patterns on May 10, 2015 by mportuesisf.